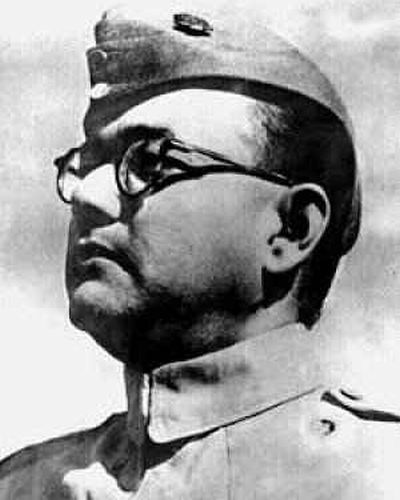 A classified 60-year-old Japanese government document on Netaji Subhas Chandra Bose’s death made public on Thursday clearly concludes that the legendary freedom fighter died in a plane crash in Taiwan on August 18, 1945, backing the official version. Bosefiles.info, a United Kingdom website set up to document evidence on the circumstances surrounding Netaji’s death, on Thursday said this is the first time the report titled ‘Investigation on the cause of death and other matters of the late Subhas Chandra Bose’ has been made public because it remained classified by Japanese authorities and was kept a secret by the Indian government. -- On August 18, 1945, Netaji’s plane crashed immediately after take-off. He was injured in the accident. -- He was taken to the Nanmon Branch of TaipeiArmyHospital at about 3 pm; and at about 7 pm he died. -- Until about 7 pm he kept clear consciousness, and had talks with Adjutant Rahmin (Colonel Habibur Rehman), but suddenly his consciousness was lost, and his heart ceased to move. In spite of several injections of heart stimulant and artificial aspiration (respiration), he could not revive. -- The report also includes four sketches: of the airport and where the plane crashed; of the plane and where each passenger sat, including Bose; of the hospital and the room where Bose was treated; and a more detailed one of the same room and the bed in which Bose breathed his last..
‘The report was completed in January 1956 and submitted to the Indian embassy in Tokyo, but since it was a classified document, neither side released it,’ the website says. The seven-page report in Japanese -- and a 10-page translation in English -- reaches the conclusion that Netaji met with an air crash on 18 August, 1945 and died at a Taipei hospital the same evening. ‘Immediately after taking off, the airplane in which he (Bose) rode fell to the ground, and he was wounded,’ the report notes in its ‘Outline of the result of the investigation’. It further records that at ‘about 3 pm he entered the Nanmon Branch of TaipeiArmyHospital’; and that at ‘about 7 pm he died’. The findings also state that on ‘August 22, he was cremated (at the Taipei Municipal crematorium)’. ‘The airplane, subsequently unbalanced, crashed into ballast piles, beside the strip of the airport and was wrapped in flames in a moment. Mr Bose, wrapped up in flames, got off the plane; Adjutant Rahmin (Colonel Habibur Rehman) and other passengers exerted themselves to take his clothes off... his whole body was seriously wounded by burns,’ the report says. The Japanese government report on the death of Netaji, who was 48 years old then, backs the Shah Nawaz Khan-led inquiry instituted by the then Indian prime minister Jawaharal Nehru, which had investigated the matter later in 1956, according to a press release issued by the website. The report provides salient features relating to his condition and the treatment administered to him at the hospital. The report also includes four sketches: of the airport and where the plane crashed; of the plane and where each passenger sat, including Bose; of the hospital and the room where Bose was treated; and a more detailed one of the same room and the bed in which Bose breathed his last. The investigation obtained evidence from 13 Japanese officials who, the report asserts, were ‘considered to have had some relations with the matter". These included survivors of and eye-witnesses to the crash besides two doctors who treated Netaji at the hospital. ‘I am reliably informed Japan's diplomatic archive plans to release the document at the end of September. A copy of the document has been given to the Indian government. The fact is the Indian embassy in Tokyo and the ministry of external affairs in Delhi had misplaced the copy given to it in 1956,’ Ray said.